Cartridges containing .45-70 and the rifles that fire them are a type of weapon that can really benefit from the improved range and accuracy that a scope provides. Good scopes can take the natural benefits of .45-70 rounds, such as power and precision, and make your rifle an even better tool than it was before. Let's see what kinds of scopes are worth your while to make your next hunting expedition a greater success. What is a .45-70 Good For? What is its Effective Range? The .45-70 cartridge was originally developed by the U.S. government, intended for use in the Springfield line of rifles in 1873. It was designed to alleviate accuracy concerns surrounding rifles of that time period. It was thought that a larger bullet would provide extended power and better accuracy at long ranges for infantry use. As a result, the .45-70 bullet and rifles which fire it, such as the Marlin 1895, are mainstays of hunting, particularly where large game is involved. The power and size of the bullet allow for animals with thick hides to be downed with certainty, so hunters that frequently try to bag game such as moose or similarly-sized animals will find the .45-70 cartridges very useful. There’s also a bit of cultural mystique surrounding the cartridge, as it was born in the black powder era of bullet-making and can be used in a lot of “old-fashioned” weapons that are iconic for their frontier spirit and rugged, individualist appeal. The effective range of a Marlin 1895, or any rifle firing .45-70 cartridges, is around 1000 yards with good elevation adjustment and a great scope. While you can still hit targets at ranges around 3000 yards, accuracy becomes less certain the further you shoot from the 1000-yard range. Most users of .45-70 rifles stay within 200 yards, where the bullets can do the most damage and you don’t need a scope to be accurate. Before we get into the best scopes for a Marlin 1895, there are a few things to keep in mind that can help you narrow the field. These are factors that are important for all scopes you might use with these cartridges. You’ll want a relatively low-power scope for your Marlin or any rifle that fires .45-70 cartridges. These weapons are renowned for their accuracy at long ranges. Because of this, you can use lower-power scopes that provide you with a good field-of-view before you take your short without sacrificing a lot of accuracy. 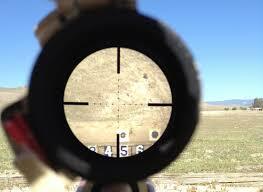 The space between your eye and the scope matters for accuracy and personal safety. Because the Marlin and others like it kick back and you want to target products that offer a lot of eye relief. No one wants a black eye just from firing their weapon! A good mount is important for keeping your rifle steady as you shoot. Try to find bases made from high-quality materials, like anodized aluminum or steel. The rings of the base are equally-critical; they need to keep your scope tight and stable the whole time, even as you pull off shots. Don’t cheap out when it comes to your mount; your entire experience will suffer as a result. Try to find a scope that has some kind of coating to protect against scratching damage or reduce glare. These will extend the lifetime of your scope and allow you to shoot more accurately in sunny weather. 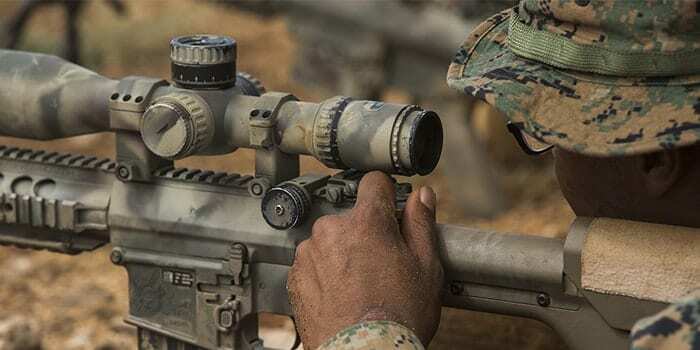 Some have better reticles than others, too; in general, simpler reticles provide better assistance for making key shots, and busier reticles can mess up your sight picture and ruin target acquisition. Below are some of our top picks and all the details you need to make a well-informed purchase. The Nikon Buckmasters II is a great example of a scope that works well with .45-70 rifles, such as the Marlin 1895. It has a great, sturdy base made from high-quality material that’s weatherproof and adept for use in rugged outdoor conditions. The BDC reticle is a patented design that offers see-through circles to let you maintain your target acquisition, even if your target is in front of a busy background or moving quickly. This is one of the best additions to any rifle that you might use for hunting, and since the .45-70 is often used to bring down big game we really appreciate its inclusion. The lens is multi-coated and to protect the glass from scratching and against glares into your eye as you sight through the scope. There’s a 100-yard parallax setting and the images brought to you are clear, colorful, and vivid. This can be helpful in mono-color settings such as forests or marshes. The eye relief offered by this product is phenomenal, as well. You can protect your brow and maintain excellent accuracy at the same time. This is important for a .45-70 rifle due to the kick from each bullet. The Nikon Buckmasters II is a great, durable product that provides exceptional eye relief and fantastic detail and color through its multi-coated lens. The power is low but effective, making it an optimal rifle for hunting at ranges around 200 yards, which is the ideal range for using a .45-70 rifle. The Primary Arms scope has an interesting reticle that can allow you to accurately fire and track targets no matter which of its six magnification settings you set it to. These low magnification settings are good for use with a .45-70 rifle, such as a Marlin 1895. The reticle is on the second focal plane, so it doesn’t change size as you flip between magnifications. This is ideal for tracking a moving target as it gets closer or further away from you, as your eyes don’t need to adjust to a new reticle size each time. The reticle can also be illuminated with 11 different brightness settings to fine-tune your experience in daylight or during low-light, nighttime shooting. A spare battery for this feature is included in the windage turret cap with your purchase. The aluminum body is weatherproof and built to last for long hunts in the wilderness. To that end, the lenses are also multi-coated to provide a quality and excellent picture that rivals that of our top pick above. It’s also a bit smaller and more compact than the Buckmasters II, although it’s also more expensive. This will fit better onto smaller rifles without sacrificing eye relief, which is still generous and gives you good accuracy without risking a nasty bruise on your brow or eye. The Primary Arms Chevron Scope is a good pick if you’re going to hunt in variable lighting conditions or think you’ll have a use for the second focal plane reticle. 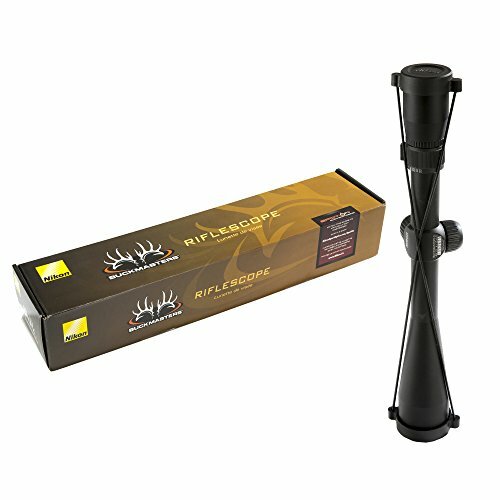 If you switch between magnification settings often, this product will work with you to enhance your hunting experience. The Vortex Optics Diamondback Scope is a precision weapon, so it’s a little at odds with the closer ranges favored by .45-70 rifles. The lowest magnification setting that it offers is 4x, which is a bit high for many hunters who might appreciate being able to focus in on closer targets. The longest range is 12x, which, when used with the elevation and windage tools included, can allow you to hit fantastic shots at a distance. The adjusters for these tools and the turret swivel itself are very smooth to operate thanks to a precision glide erector system. The entire piece is durable and weatherproof and is made from a single piece to maintain unit integrity. The lens is another standout as it has a similar, see-through BDC reticle as the Buckmasters II and is multi-coated to provide great color and clarity. It can allow you to track targets no matter the time of day, as it can work well in high or low light conditions. The eye relief offered is very good, since the lens is wide enough to give you good accuracy from a fair distance away. When paired with the steadiness of its mount and base, you’ll find that consistency is the name of the game for this scope. The Vortex Diamondback is a consistent, quality piece of equipment that zooms in a little further than we’d like but which makes up for that by providing great precision tools and smooth adjusters. It’s weatherproof, too, to handle all kinds of hunting conditions. The Leupold VX-1 is a lightweight model that can fit on a majority of .45-70 rifles. Its style and shape are simplistic but refined and can pair well with any hunter that enjoys efficiency over flashiness. It is tough, weatherproof, and rated for all moisture conditions. It is multi-coated and has a sight picture that’s brighter than many competitors, even some of those on our list. The eye relief provided is exceptional and full. It has magnification levels of 3-9x; this is a good range for the moderate optimal distances that .45-70 cartridges should be fired at. You can use finger-click adjusters to alter your minute-of-angle, or MOA, settings. This can let you plot out the arc of your bullets more cleanly and should mainly be used with the higher magnification settings to close riskier longer distance shots. Finally, the erector system is very snappy and easy to modify. This means that changing your position or setting up the scope is easier than some other models. 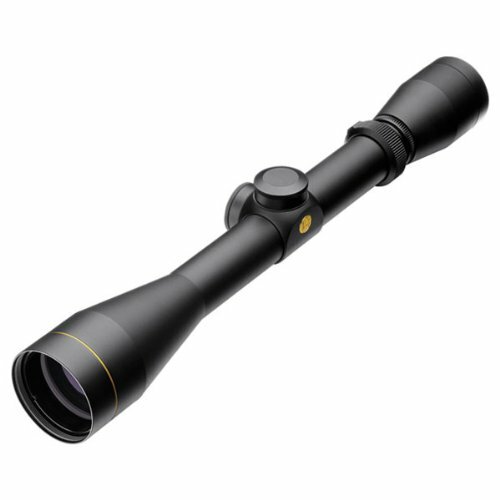 The Leupold VX-1 is a narrow, effective model of riflescope that can let you shoot up close or far away. It also provides the tools to ensure that farther shots hit their targets instead of chasing away your game. The Bushnell Banner Riflescope provides great service no matter what lighting level you’re working with. Its lenses are coated to prevent scratches and, more importantly, to provide you with enough light to bolster color and clarity. 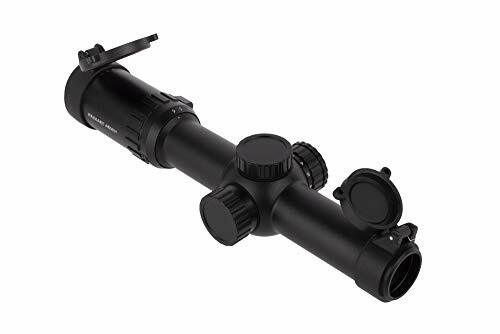 Finding targets is easy at any time of day with this scope. It’s adjustable with windage and elevation knobs, although these aren’t as smooth as some others we’ve seen. The reticle has notches for ¼-inch MOA adjustments and everything is totally weatherproof. It is durable and ready to handle anything you can throw at it. The eyepiece is sized for quick focusing on moving targets and promotes good eye relief, around 3.3 inches. This is enough to protect you from the recoil often incurred by .45-70 rounds. The Bushnell Banner is a great pick if you shoot in varying light conditions from time to time and want to get something on a budget. It’s affordable but tough enough to last for years to come, and its sight picture is as bright as several more expensive scopes. Is a .45-70 a Good Bear Gun? Bears have thick, furry hides that make penetration with some lower-caliber bullets difficult. Because of its size and power, the .45-70 rifle is a great bear gun, so long as the bear is in relatively short range (around 200 yards). Other weapons are better for bear defense since they can be used in close range without the unwieldy nature of a Marlin 1895. Since the effective range is somewhat short, having a bear so close to you is a risk you’ll have to balance. Accuracy and planning are both important if you choose to hunt bears with a Marlin 1895. Scopes for .45-70 rifles can enhance your hunting experience and let you hit targets at ranges you’d never imagine. You can push the power and precision of these fantastic rounds farther than ever before provided that you have the right equipment. Grab one of these products and have fun out there!